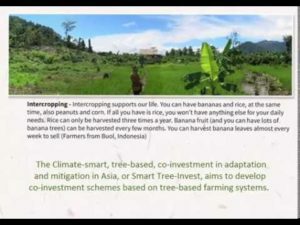 The research under Flagship 1: Livelihood systems (formerly Smallholder production systems and markets) aims to understand and improve the systems in which forest, tree and agroforestry goods are produced, locally used (for food, fuel and construction), processed and sold, as a way to enhance livelihoods. 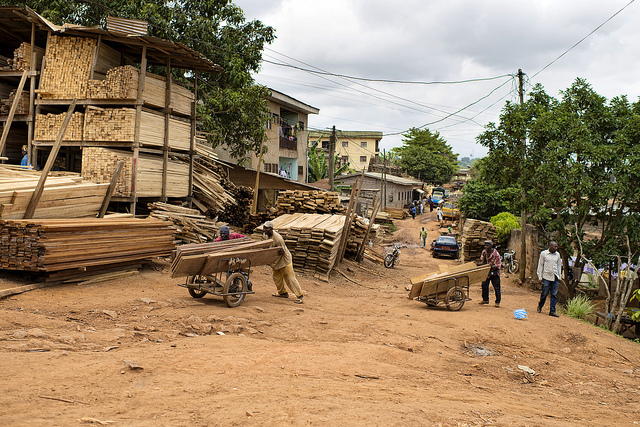 Tree products and their development as well as trees on farms typically fall through the cracks of national government and development agency approaches. Little information is collected about them, their benefits are not widely promoted and not enough is invested in their development. On the other hand, there is considerable potential to alleviate poverty when smallholders create and capture more value from tree products. The global trade of the top 20 tropical tree crops exceeds US$ 80 billion, even without taking into account the hundreds of species that do not have large international markets. The reported value of non-timber forest product removals amounted to about US$ 18.5 billion in 2005. Food products accounted for the greatest share. However, since subsistence use is rarely captured, this likely covers only a fraction of the total value of harvested non-timber forest products. A wide variety of management systems, from wild harvesting through intensive cultivation and husbandry, yield fruits, vegetables, oils, medicines, essences, wood, bamboo and other fibers that are critically important for subsistence uses, for generating employment and income and for meeting emergency needs. Furthermore, trees may sustain the productivity of agricultural systems through tighter carbon, water and nutrient cycling and the provision of livestock fodder and shade, particularly in seasonally dry environments. A decline in forest areas, overextraction and increasing demand have put unsustainable pressure on wild stands, creating both the opportunity and the need for more intensive production and cultivation of tree products. Forest-dependent people may also lose access to resources and thus income when new conservation areas are created or ownership rights are claimed by, or assigned to, more powerful actors. Livelihoods and the environment can be improved when the following constraints are addressed: 1) the lack of knowledge about quality tree germplasm, 2) inappropriate farm management practices, 3) insecure forest and tree tenure and 4) limited market integration. 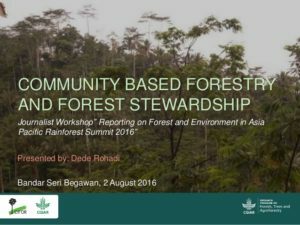 to understand and strengthen institutional arrangements (including tenure security and local collective action) underpinning the management and use of forests and trees. Besides analyzing and addressing constraints, researchers also identify opportunities for smallholders to generate more income by showing ways of enhancing the management of production systems (theme 1), by improving marketing systems (theme 2) and by encouraging supportive policies and institutions (theme 3).